The Companion Animal Related Emotions (CARE) Pet Loss Helpline is a confidential telephone service offered through the University of Illinois College of Veterinary Medicine. People who are either grieving the loss of a companion animal or are anticipating a loss are encouraged to call. If you need a compassionate, understanding person to talk to, we are here to listen and to support you. We are here to accept calls from 1 to 6 pm on Tuesdays and Thursdays. You may call at any time and leave a message, and your call will be returned as soon as possible, usually within 24 hours. Our telephone number is 217-244-CARE (2273). The CARE Helpline was developed to provide a supportive outlet for people experiencing the actual or anticipated loss of their cherished companion animal. It is staffed by our Grief Counselor who understands the importance of the bond you share with your animal friend and the emotions involved when that bond is threatened or altered. 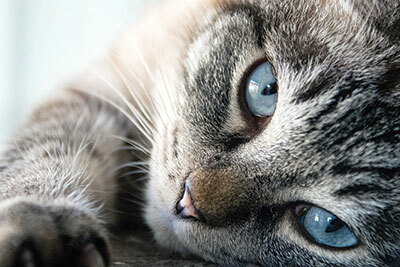 The CARE Helpline focus is on the array of emotions related to pet loss. We are unable to discuss specifics of your animal’s illness and ask that you contact your veterinarian for questions of a medical nature.